From the Oscars to the Baftas to this year’s World Economic Forum Annual Meeting, the world is increasingly paying attention to gender diversity and women’s right to equality in the workplace, including having workplaces free of harassment. We are moving towards equal pay (though the rate of change is far too slow), towards making markets work for women and towards making women’s economic empowerment a central plank of gender equality. Leaders around the world – both political and corporate – increasingly understand that there can be no equitable economic growth that excludes half of the world’s workers. But we’re leaving out a major piece. Yes, we need equal pay legislation and equal pay policies and inclusion riders, as called for at the Oscars. But we also need something both simple and complex: men doing half of the caregiving in our homes. Using data from more than 100 countries, the recent State of the World’s Fathers report produced by Brazilian NGO Promundo confirmed that, on average globally, women carry out three times more of the daily care work than men, ranging from four to five hours per day. That’s on top of the paid work women do. Men carry out more paid work on a daily basis, but combining paid and unpaid care work, everywhere we look, women on average work more hours per day than men do. Everywhere. The bottom line is that no country has achieved equality in daily unpaid care work (the care of children, of ageing parents and of homes). Even when companies offer paid and equitable parental leave, we know that men are far less likely to take it than women. 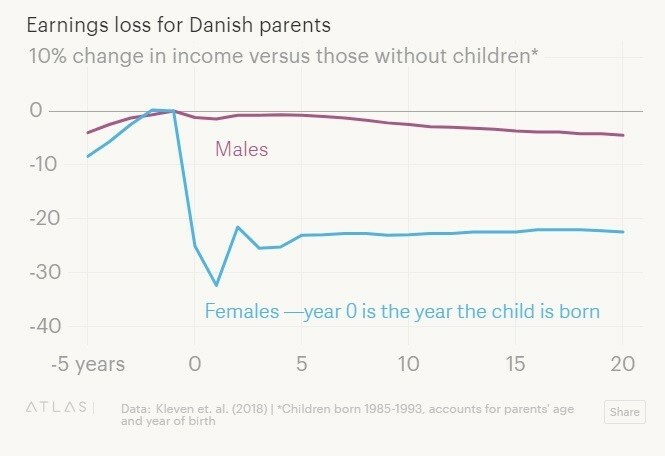 One main reason is that men’s average incomes are higher, so unless we make leave fully paid, families often decide they can forgo part of the woman’s income more easily than the man’s. Second, men are worried (as are many women) that their bosses and co-workers will think they are slackers if they take leave. 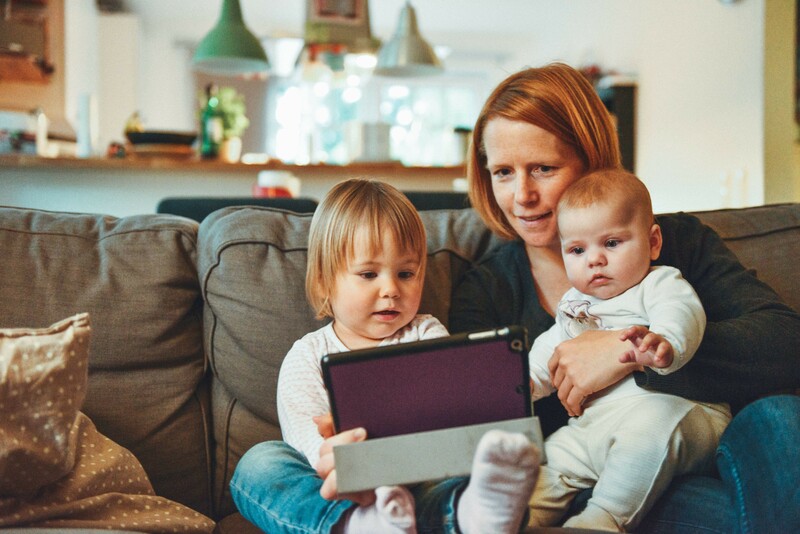 Women still, on average, perform the majority of unpaid childcare. And why does all this matter? It matters because unpaid care is one the main reasons that women do not achieve the full equality in the workplace that they deserve. It limits their paid work lives. It means women are most likely to take on the part-time and flexible work, while men more likely climb in terms of salaries and management. In many higher-income countries, we see that women’s and men’s income is roughly equal in their 20s. But when they start having children in their late 20s and early 30s, we see the curve: women’s incomes decline while men’s increase. Even in progressive Scandinavian countries, when women step out of the workplace for a time, while men work more. So what needs to be done? This is about policy shift but also about a cultural shift. We need paid and equal leave for caregivers of all kinds, of all genders and sexual orientations, and in all family arrangements. And we need incentives and encouragement for men and women to take it. Ideally, we need such leave included as part of national laws and paid for via national insurance programmes. Short of that, we need employers to offer it and encourage it. In lower-income countries, we need to promote men’s caregiving as part of poverty-alleviation programmes, so that we don’t increase women’s triple burden. We need parental training that includes fathers. We need to promote men’s involvement in paid care professions, such as childcare working, primary school teaching, nursing and in-home healthcare. It will be messy when we bring men into what have been considered largely women’s professions. We certainly don’t want to push low-income women out of one of the few places they have found for paid work. But we know we need to get men into those professions if we are to change the idea that care work is the work of mostly underpaid women. And we need to start early, with messages to our sons and daughters. We need to raise boys from the earliest ages to see themselves as caregivers and providers too. We need to continue to promote girls’ entry into science, technology, engineering, and mathematics (STEM) professions, while encouraging our sons to see that the care professions are legitimate, valued work. And they need to know that we expect them to do half of the care when they are grown up and have homes of their own. This requires a cultural shift: we need messages in the media and workplaces to promoting men’s caregiving as the new normal. For many men, it already is. There is a younger generation, from Geneva to Ramallah to Rio de Janeiro, who get it. They are doing more of the daily, hands-on care of children. But until men are doing, on average, half of this daily work worldwide, and finding the joy and benefits in it, we will not achieve the full equality that women and girls deserve.